Introduce your child to science with Professor Robert Winston’s Science Experiments. These exciting hands-on experiments from creating balloon rockets or glow in the dark jelly to making metal detectors, will help your child get to grips with science. 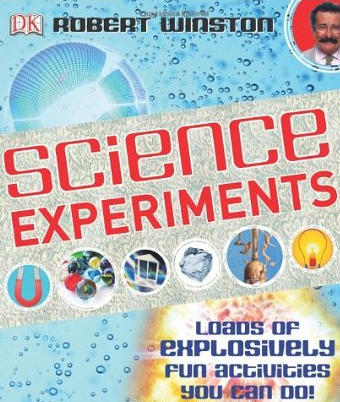 Science Experiments covers all areas of science from life on earth to physical science. There are projects for all abilities, from quick & easy science in seconds to trickier group projects for schools. Packed with easy step-by-steps and over 350 photos and illustrations, for explosively fun activities that you can do at home!